L.A. rhymer YG recently participated in two VICELAND-filmed therapy sessions to promote his Still Brazy album. To the uninitiated, “brazy” is the translation for “crazy” in Blood lingo, as the “b” trumps the “c” (Crip) in all aspects, even when bickin back bein bool or bracking brab legs. The footage of the sessions didn’t resemble a productive therapy session.I’m not sure YG was taking the therapy particularly serious—otherwise he probably wouldn’t have been filming it, drinking tequilla, or had it cut short at the mention of god. As someone who’s had therapy sessions in my life, the idea of any of that occurring in one of my sessions is laughable. Perhaps he was merely posturing, but the oft-fatalistic, traumatizing atmosphere of left behind communities has conditioned hoards of people to embrace their destructiveness, and it’s reflected in the arts. For years, the scourge of mental illness has been the “elephant in the room” of Hip-Hop, as readily-honest MC Joe Budden deemed it on Twitter. Treatment is rarely broached unless it’s a hyperbolic extreme, such as Tyler the Creator spilling homicidal thoughts during his WOLF trilogy. This circumstance makes sense when 14.8 million Americans suffer from depression, yet just one-third with “severe depressive symptoms” take antidepressant medication. Abraham Maslow’s hierarchy of needs states that a person’s desire for personal and financial security takes precedence over “self-actualization” and self-esteem. Perhaps his theory rings true for YG. In a time where racial tensions, absurd cost-of-living, and bigots buying military weaponry like shoes are just some of Black America’s stresses, self-care may be perceived as a bonus instead of a necessity—even if it should be among our primary concerns for those very reasons. 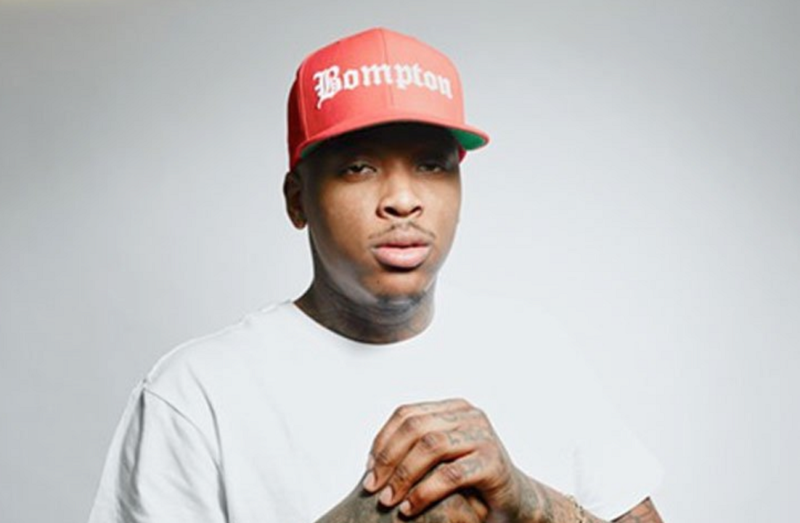 In communities like YG’s Compton particularly, clinical depression is easily conflated with the general stress that systemic oppression weighs upon us. Dr. Joy Legruy noted the psychological effects of slavery on Black people in her book Post Traumatic Slave Syndrome. Prayer and “'(wo)manning’ up” are frequently perceived as solutions to depression and bi-polar disorder, but both do nothing to offset the biological issues at play. It seems we’ve been wired to repress our sadness, or simply attribute it to oppression. This happens even with people who’s job description is expression. YG acknowledged both that he was an alcoholic and harbored paranoia from being shot, but dismissed his “therapist’s” concerns for him by saying he’s “solid” because he’s not “in jail for murder or ‘nothin.” His comments sound as absurdly careless as Chicago poet/artist Malik Yusef’s recent championing of Kanye West for not taking medicine for an unidentified mental illness. “They can diagnose you as all kind of stuff,” Yusef told media personality Drea O, but “that doesn’t mean you have to adhere to those principles.” Sometimes, you can take the Gucci Mane route: self-medicate and tattoo an ice cream cone on your face. Gucci was committed to a mental institution in 2011, and in 2013 went on a bridge-burning Twitter rant that resembled a manic episode. He later apologized, tweeted that lean “destroyed” him, and announced he was seeking rehab—shortly before being arrested on gun charges. Gucci’s plight could have easily been a starting point for a referendum on mental health in Hip-Hop, but what came of the incident? “I’m about to lose it, Gucci Mane,” a barely-associative Rick Ross hook on “Lose It”, a 2016 French Montana song about absolutely nothing. At least they kept the lean references to a minimum. She also postulates that “mystery is the birth of cool,” and unraveling the mystery of our favorite artists may erode their allure. We accept when Kanye (or any other MC) rhymes, “I’ve been out of my mind a long time,” but is confirmation that maybe he really has been too jarring to acknowledge? If a beloved star, with a disposable income can’t benefit from help, what chance does a simpleton have? When convincing our friends and family that inner contentment isn’t as simple as “getting over” our internal pain, embracing our flaws–and flouting them–becomes the go-to defense mechanism. It makes sense, but it’s a toxic position to own. As evidenced by the pillaging of our vernacular and dance moves, people take damn near all their cues from Hip-Hop. Artists are condemning state-sanctioned violence. Artists are speaking out against opiate abuse. It’s past time for the taboo of mental illness to be addressed in mainstream Hip-Hop, and for the topic to be broached as something more than a trivializing entertainment scheme. Hip-Hop has collectively prided itself on its rebelliousness, but resisting mental health treatment isn’t bool.